There are few things more timeless than vacationing on the shores of the Mediterranean. The thought of it immediately conjures up images of Jackie Kennedy and Grace Kelly looking fabulous while boating along the region's iconic coastline. 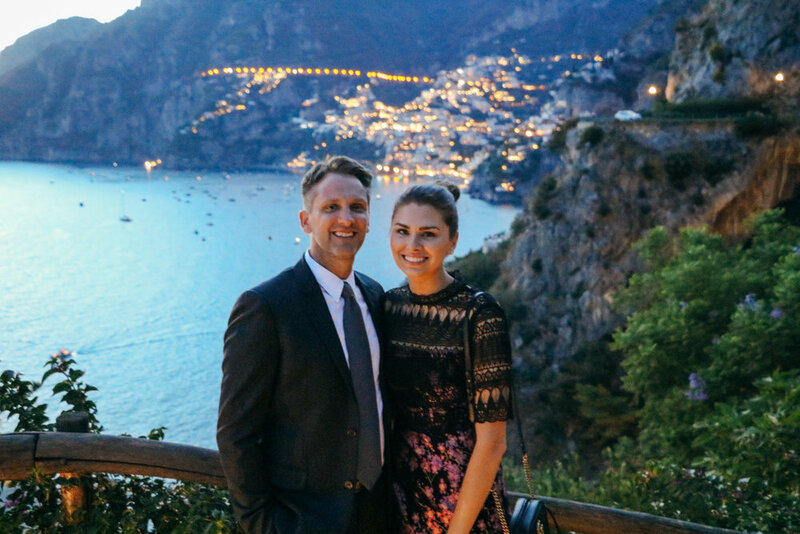 This is the experience I've dreamed of for years, so when our travels took us to Italy's Amalfi Coast last month, I knew we had to make the most of our time! For me, the foundation of any great trip means choosing the perfect hotel, and we couldn't have been more pleased with our selection! 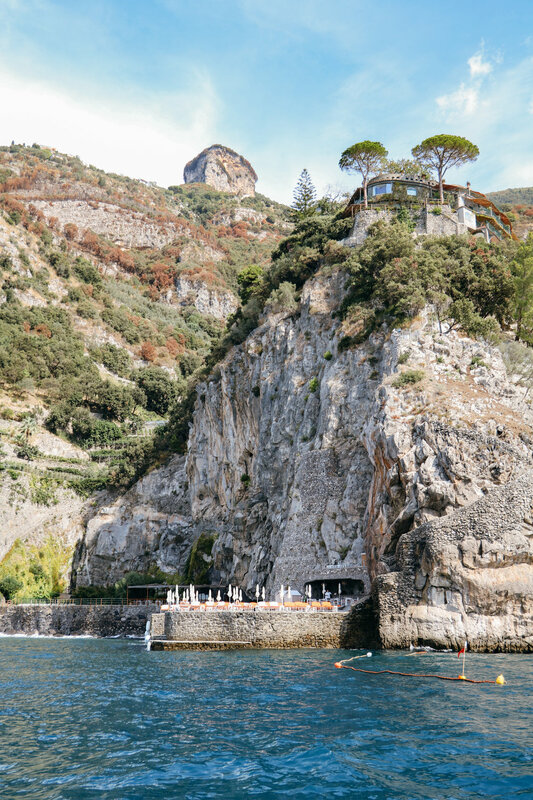 Carved into a cliff overlooking the Mediterranean Sea, Il San Pietro di Positano is "the most exclusive beach resort in Europe, but it's on a slice of land so small, with an entrance so unassuming, that anyone not in the know could miss it amid the glitz of the Amalfi Coast" (Town & Country, 2016). 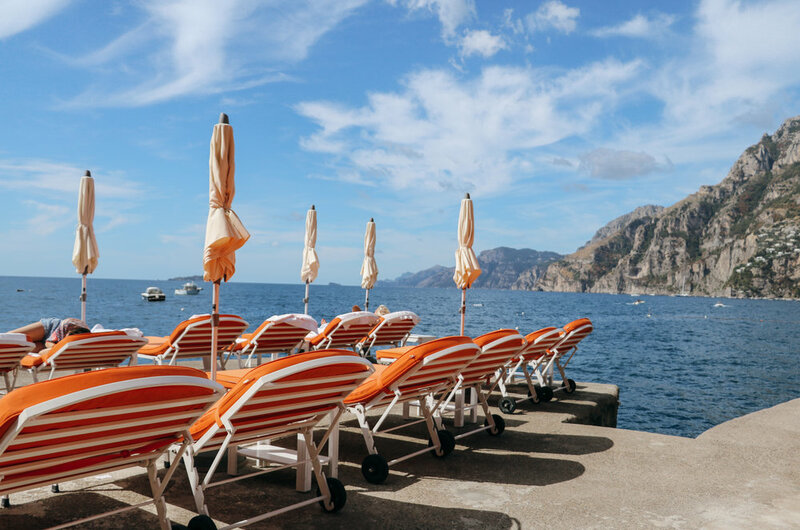 Just minutes from the heart of Positano, Il San Pietro welcomes guests for six months each year to a time of relaxation and recreation. As soon as Greg and I stepped out of the car, we were greeted by friendly faces handing us the most delicious Bellini's, taking our luggage and inquiring how our trip went, which was a welcome sight after nearly twenty hours of travel. However, once we stepped inside and saw a glimpse of the breathtaking view we came for (and an equally impressive interior), we knew the trip was well worth it! The best way to describe Il San Pietro is as a home-style Italian palazzo. This Relais & Chateaux property (see one of my other favorites here) is elegant and luxurious, yet avoids any sense of pretense thanks to its incredibly welcoming staff. Boutique in size, each of the 57 guestrooms have private terraces, uniquely made ceramic tiles, Italian marble and stunning sea views. Possibly more noteworthy is the fact the hotel was built with the idea not to be seen, and masterfully blends into the cliffside. Our room had a perfect view of Positano which we were thrilled to have as all but a handful of rooms instead face south towards Praiano. 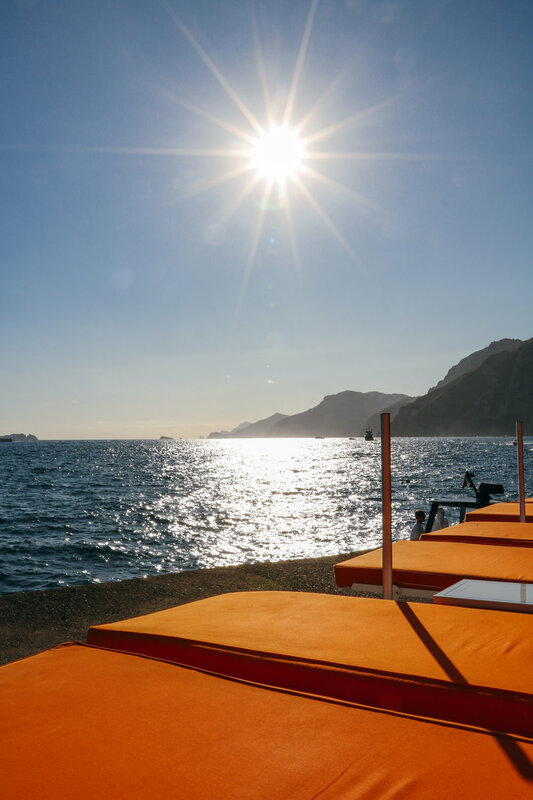 The hotel is home to two great restaurants- the Michelin starred Zass and the seaside Carlino, both offering locally inspired menus with Amalfi influences of lemon, olive oil, homemade pasta and fresh seafood. HSP also has an on-site vegetable garden growing along the terraced hillside of the property allowing for extra fresh produce! 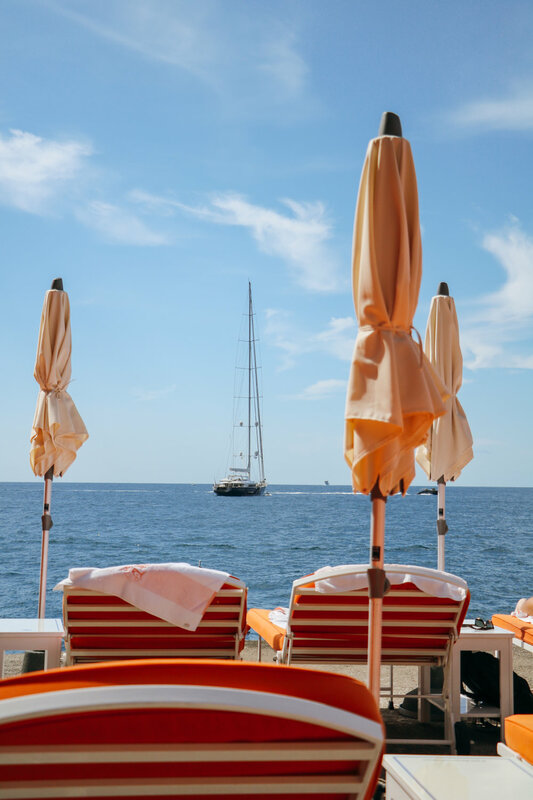 And while the Zass dining room and eat-out terrace sparkle at night with chandeliers and draped white tablecloths, I enjoyed the space most in the morning with the picture-perfect breakfast buffet and views of the sun glistening off the water. On top of all this, what makes HSP unique compared to other hotels in Positano is it's the only one with direct access to a private beach. An elevator carved into the cliff takes guests from the lobby down to this heavenly spot where orange lounge chairs pop against the blue water. 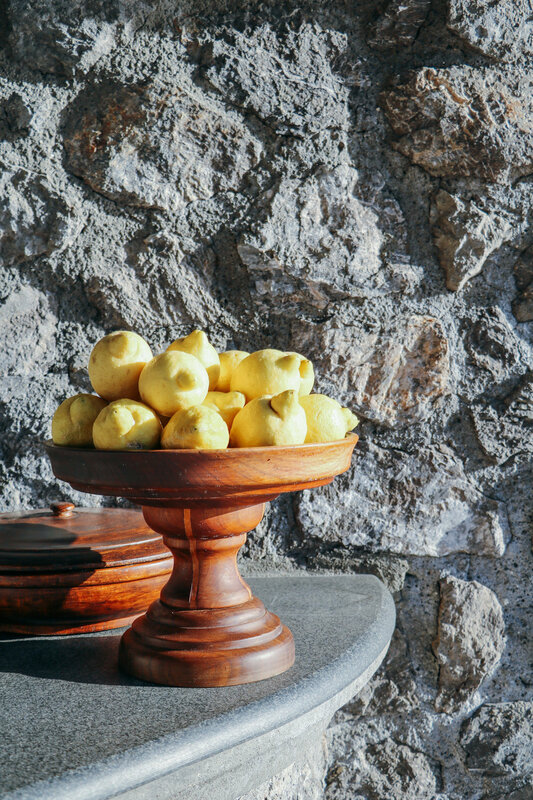 It's the ideal spot for enjoying an Italian summer day (and make sure to ask for a fresh lemonade- so good)! 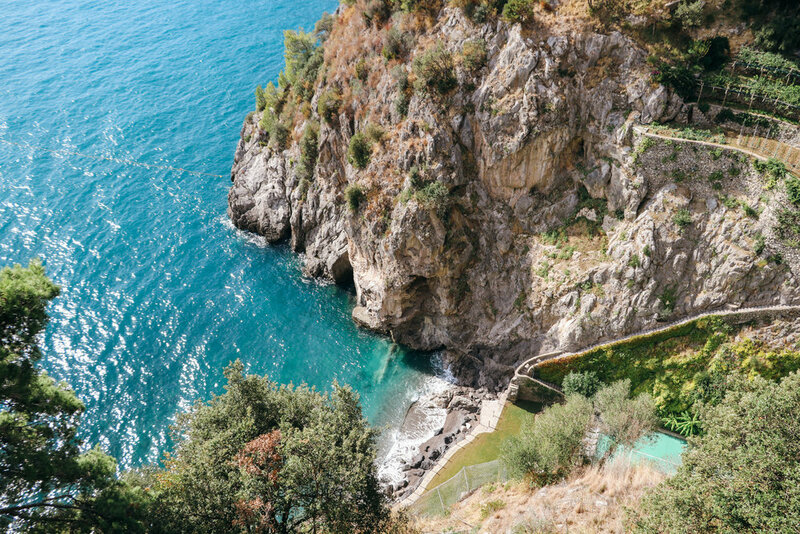 The hotel also has a panoramic swimming pool, spa, gym, seaside tennis court, and offers daily boating excursions (with a dip in the water and cocktails) for guests to experience the Amalfi Coast by water, which we took full advantage of and was a highlight of our stay. Though all of the hotel's amenities are fabulous, my absolute favorite thing to do was sit out on their famed terrace watching the sun set over the Mediterranean while enjoying a Bellini and a bowl full of the best olives I've ever had (I couldn't stop eating them!!) all while trying to soak up every minute. 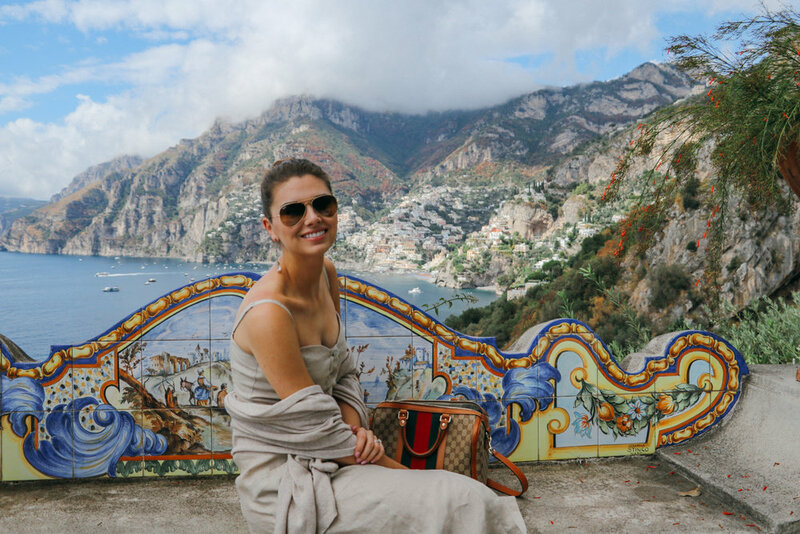 I had heard numerous people say the Amalfi Coast is the most magical place on earth, and now having experienced it for myself, I completely agree! I'm very grateful that Greg and I were so fortunate to experience it, especially together. As I'm sure you can tell by now, if you find yourself visiting Positano, I highly recommend staying at Il San Pietro. But don't just take my word for it; in addition to its myriad accolades over the years, it was even named World's Best Resort in Europe by Travel + Leisure. And while a long list of awards speaks volumes, almost more impressive is the cult-like following of many of its guests. More than 50% of the hotel's guests each year are repeat visitors (a huge repeat rate for any hotel), and many will book not only the same dates annually, but request the exact same room. And some guests will become so attached to a particular room that the hotel will go so far as to ask for their blessing before before renovations begin on "their" room! While the unbeatable property, location and amenities are what initially lure guests to HSP, what keeps them coming back is that you feel like family when you stay here. With all this said, make sure to book your travel plans well in advance as HSP's reservations fill up quickly, and remember the hotel is only open from April-October. We felt that September was the perfect month, as the summer crowds had thinned but the weather was still warm (we hit low 80's every day and no rain) and the water temperature comfortable. And all of the locals we spoke with agreed! Thank you, Il San Pietro, for an unforgettable experience. I cannot wait to return some day soon!